One of the world’s most iconic drum & bass acts, Pendulum have announced their return for 2018 with a brand new album and brand new live shows. ‘The Reworks’ is a project unlike any other released by the band before, and marks the end of their seven-year hiatus; officially launching on 16th March. To mark their return, the band have announced their first headline show since 2011 at London’s unique new space, Printworks. The show sold out in under an hour and will be both an auditory and visual spectacle for fans. Also announced is Pendulum’s return to one of the UK’s biggest events – Reading and Leeds Festival. Headlining the BBC Radio 1 stage – the same slot they graced the last time they played in 2010, the shows mark a welcome return for the band in the UK. The news will undoubtedly be well received by Pendulum’s legions of fans, with the band having hinted at a comeback by returning to the live stage last year, headlining the UK’s South West Four and Nass Festival, and confirming for this years Snowbombing festival in Austria. Pendulum first released their debut album ‘Hold Your Colour’ in 2005, and, thanks to singles like ‘Tarantula’ and ‘Slam’, the album reached platinum status in the UK, catapulting the band into the limelight as the most exciting D&B act in the industry. 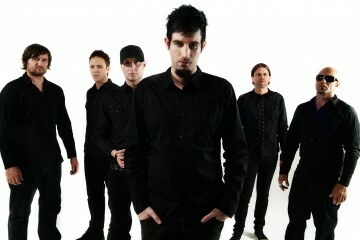 Pendulum were able to maintain this momentum with follow up album ‘In Silico’ in 2008, which reached number #2 on the UK charts and featured the massive track ‘Propane Nightmares’ – the second of the act’s two UK top 10 singles. Releasing ‘Immersion’ in 2010 continued the band’s success; they hit the coveted number #1 spot on the album chart and earned their highest charting single to date with ‘Watercolour’, peaking at number #4 on the UK charts. Followed up by ‘Witchcraft’, ‘The Island’ and ‘Crush’, the album eventually went platinum and Pendulum embarked on a full scale, world tour, playing two sold-out shows at London’s Wembley Arena and headline slots at some of the UK’s largest festivals including Glastonbury, T in the Park, Bestival, Download and Radio 1’s Big Weekend. This exciting announcement marks the beginning of a new era for Pendulum, who have long been considered one of electronic music’s most important and pioneering acts, famed for their no-holds-barred live shows. With more huge festival dates TBA across the summer, 2018 marks the an exciting chapter in Pendulum’s already lengthy career.